The text on the right hand side is in Hebrew, not Yiddish. 1st line: Wednesday, 15 Elul 5669 [September 1, 1909]"...may your path be successful"
5th line: while in Canada - your place of abode. 9th line: "The time has already come to become a man"
11th line: double dated August 29 and September 1, 1909. To my sweet and dear Mayer on the day of my departure to gimnazium (a high school). 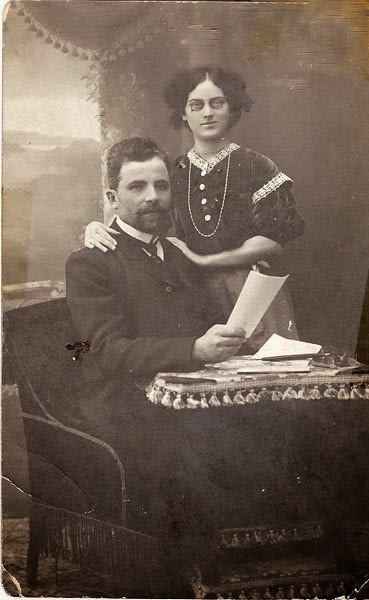 Signed: Sonia and dated August 29, 1909. 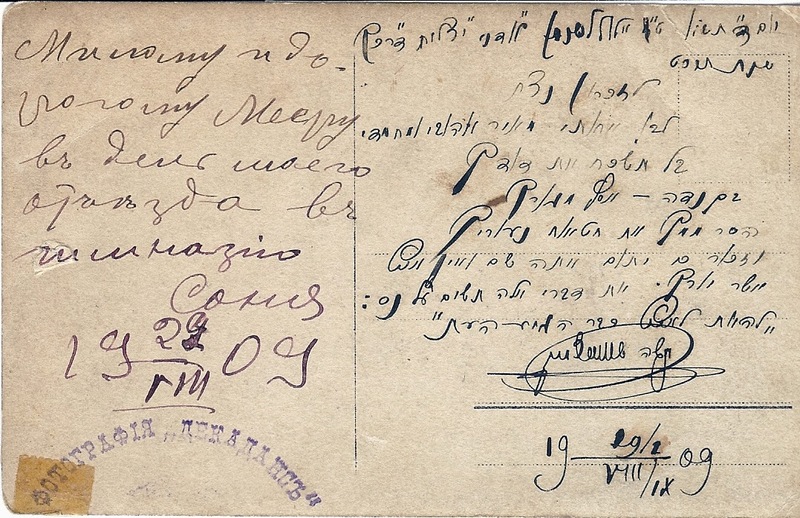 Hebrew portion of the postcard "Le zikaron Nidah"